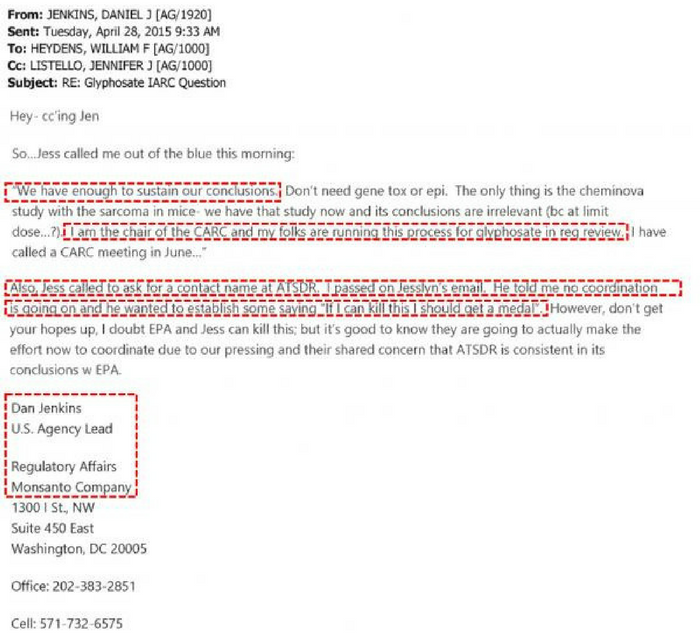 Did an EPA Official Collude with Monsanto by Tilting Research? The probe was initiated in response to a request from Rep. Ted Lieu, a Democrat from California, for an investigation into whether the EPA official colluded with the biotech giant to tilt research on glyphosate in favor of Monsanto’s claim that the chemical does not cause cancer in humans. This, despite Monsanto having never conducted carcinogenicity studies on RoundUp. Lieu’s request was based on media reports of documents released as part of a lawsuit against Monsanto alleging that glyphosate is carcinogenic and that the company may have spun research and hired scientists to cover it up. 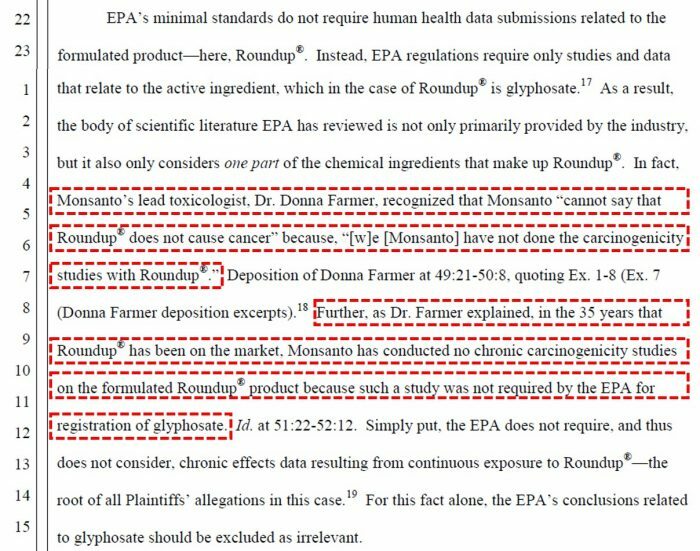 The lawsuit-related documents refer to internal Monsanto e-mails that mention Jess Rowland, a former manager in the EPA’s pesticide division. A Monsanto executive e-mailed other company officials that they could hire academics to put their names on glyphosate research papers written by Monsanto, citing a previous instance where this was done. The referenced paper was used in the EPA pesticide program’s own cancer analysis. It appears that at the time the original e-mail was sent, Monsanto was trying to recruit Rowland to help shut down a review of glyphosate within the U.S. Department of Health and Human Service’s Agency for Toxic Substances and Disease Registry division. OIG investigators will likely begin interviewing Rowland’s former colleagues and bosses, pulling records and poring through e-mails, according to Michael Hubbard, a retired Special Agent in Charge for the EPA’s criminal investigations division. It’s also likely that investigators at the Department of Justice’s Public Integrity Section will be pulled into the mix. Additionally, subpoenas could be granted to allow access to Rowland’s bank records. It wouldn’t be shocking to learn that Monsanto was working with an EPA official to quash damaging research. This is the same company that allegedly has its own department of Internet “trolls” tasked with trashing negative articles and comments about RoundUp. Monsanto will do anything to cover up the toxic truth about glyphosate. After the IARC declared glyphosate “probably carcinogenic,” the company pressured the WHO agency to reassess the herbicide, and continues to insist that “there is no evidence of carcinogenicity” in RoundUp’s main ingredient. Isn’t it a shame that yet again Jules is accusing with beyond a doubt proof with words like “may have”. Lol, once again it is sad that she can’t find a real cause for her want to be talents.